The signature model for legendary drop-knee pioneer Jack "The Ripper" Lindholm. This second generation Jack the Ripper featured a two-tone deck, double rails, and a tunnel bottom. Earlier generations also featured a built-in handle similar to the old Sure Craft North Shore model. 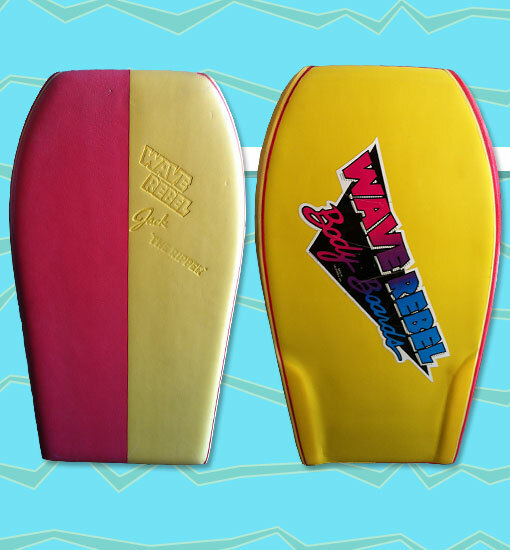 All Wave Rebel bodyboards at the time used Flextreme for the slick skin. Flextreme was slightly more rigid than Surlyn but still offered ample flexibility. Photo: Mike Aquino.